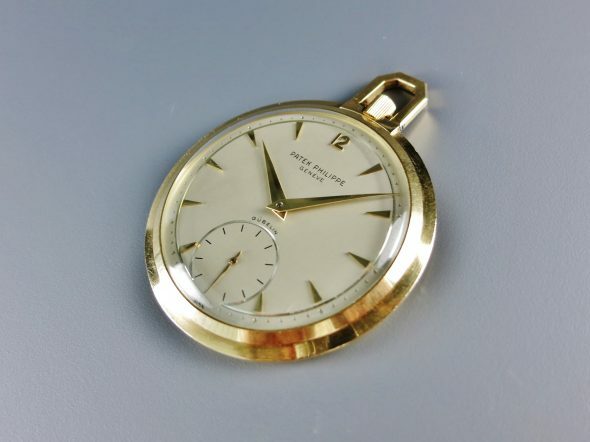 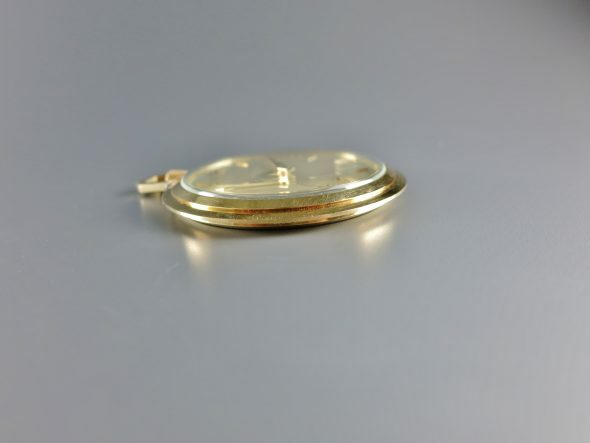 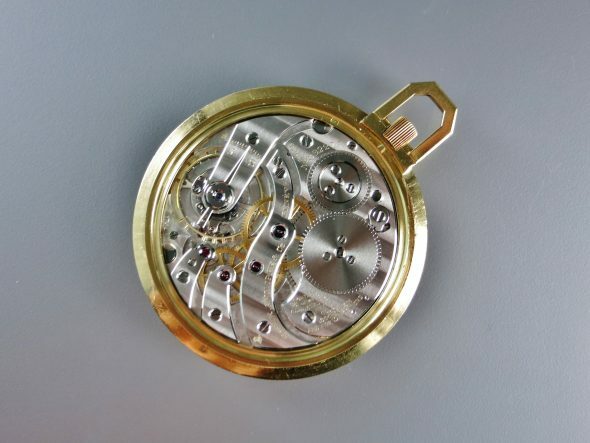 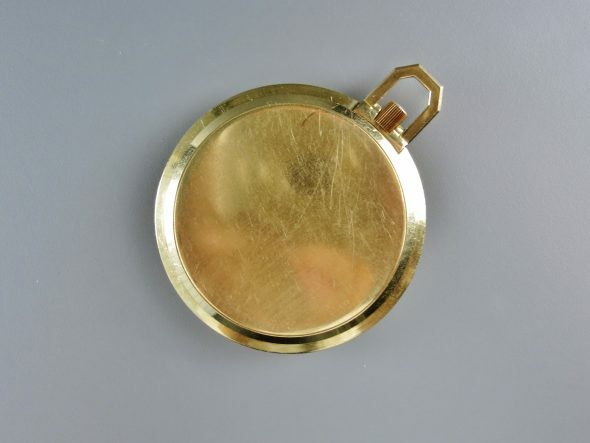 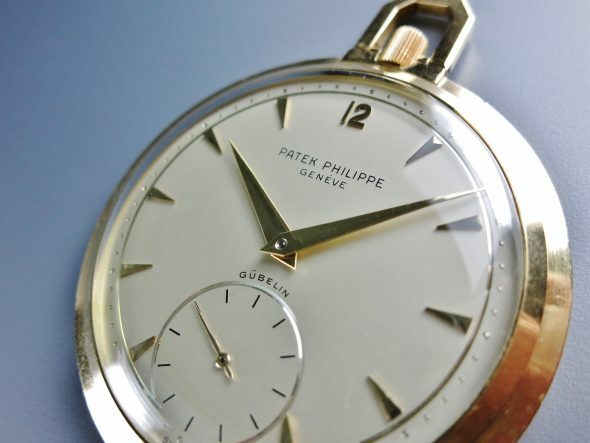 A very fine and rare 18k yellow golf manual-winding pocket watch ref.770 retailed by GUBELIN. 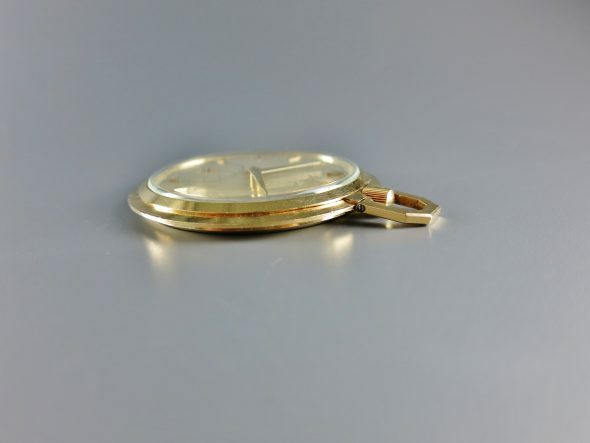 The condition fo the case and the dial are both in very good. 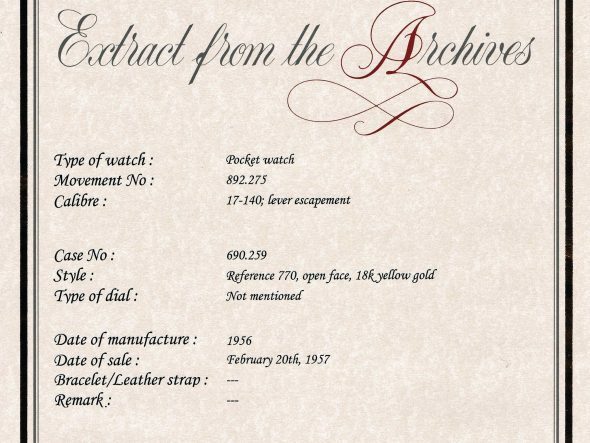 Accompanied by Extract from the Archives confirming the date of manufacture in 1956 and susequent sale on Febriary 20th, 1957.